My hibiscus has white fungus; what should I do? White powdery mildew on hibiscus is a common problem that usually won’t kill the plant, but the powdery substance can definitely detract from its lush appearance. If you own a hibiscus with powdery mildew, all is not lost. Read on to find out more. 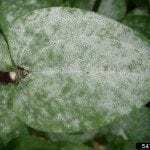 Powdery mildew begins as white spots that turn gray or tan as the fungus grows and covers more of the foliage. The fungus causes stunted growth and in severe cases, the leaves may wither and fall off the plant. If a hibiscus has white fungus, it’s important to tackle the problem as soon as possible; once the problem is established, it becomes more difficult to control. There are several possible treatments, but chemical fungicides, which are toxic and aren’t always effective, should always be a last resort. Keep your hibiscus healthy, as strong plants are able to withstand powdery mildew better than weak, stressed plants. Water your hibiscus at the base of the plants and not on the leaves. Morning is the best time to water because the leaves will have plenty of time to dry. Avoid high-nitrogen fertilizers, as lush, new growth is more prone to disease. Don’t fertilize hibiscus when powdery mildew is present. Be sure hibiscus plants aren’t crowded since fungal diseases thrive in warm, humid conditions with poor air circulation. 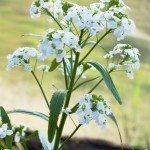 If the shrubs are crowded, consider transplanting them to a space where they have more room to breathe. Trim affected growth immediately. Dispose of diseased plant material carefully, and never place it on the compost pile. Neem oil – A mixture of neem oil and water is a safe, organic solution for powdery mildew. Mix the spray at a rate of 2 tablespoons neem oil to 1 gallon of water. Use a pump sprayer to apply the solution every week until the mildew is no longer visible. Some gardeners like to add a teaspoon of liquid dish soap to the neem oil solution. Baking soda – You can also try an organic spray consisting of a teaspoon of baking soda, a few drops of vegetable oil and a quart of water. Spray the mixture on affected leaves. Commercial sprays – Although a number of chemical fungicides are available, many gardeners prefer to use products containing sulfur or copper every seven to 14 days, or as recommended on the product label. Fungicides are generally effective only early in the season. 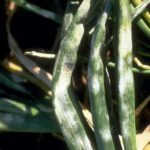 Once powdery mildew is established, fungicides tend to be ineffective and usually aren’t recommended.